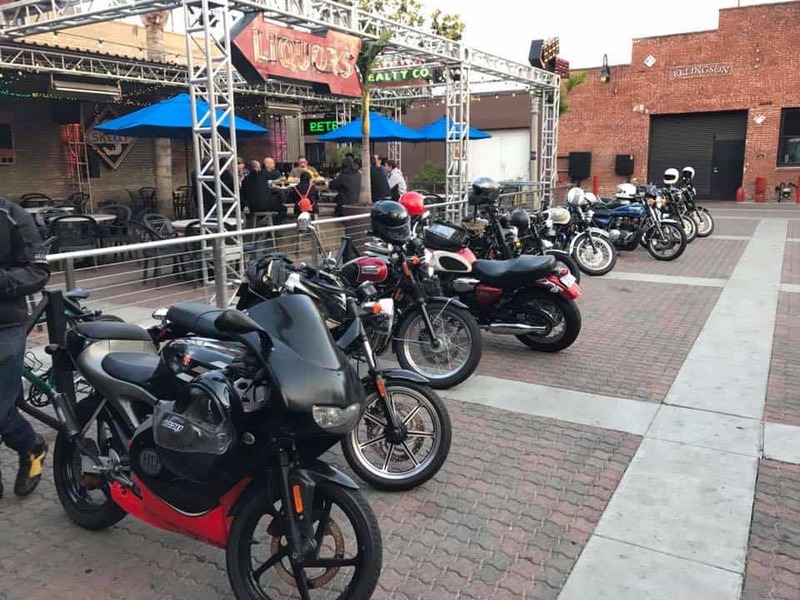 Always a great place to meet up, swap a few stories, have some food and beverages and have a look at life on 2 wheels, if you can make it out to Fullerton, it will be great to see you, always a fun night and always great Motorcycles turn up. If you are into Motorcycles, the old school style of these machines, and enjoy meeting like minded people, then come along as you are always welcome in our group, we are close knit family style Motorcycle club that enjoys riding to interesting places and like this meet, we like to just hang out and chat to other Guys and Gals that like what we are into. 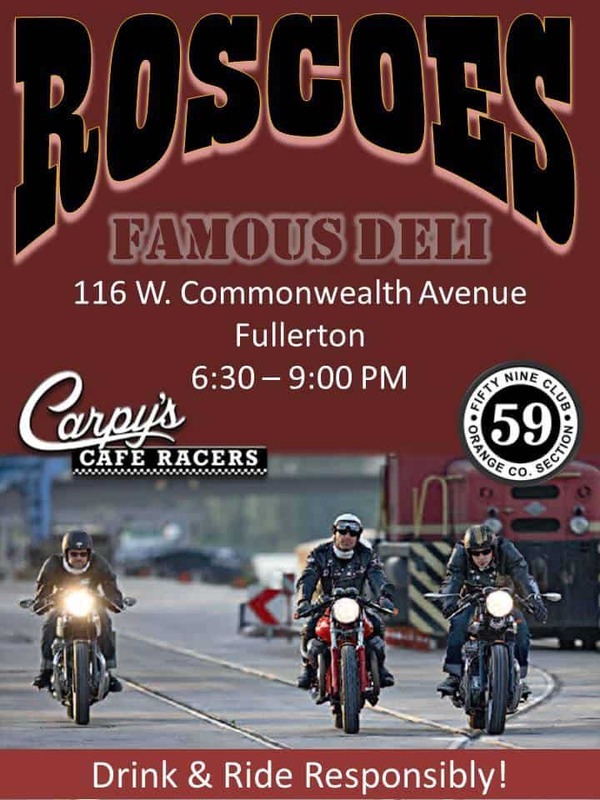 We shall be at Roscoe’s in Fullerton from 6:30pm onward, be great to see you, no hang ups, no attitude just great people. 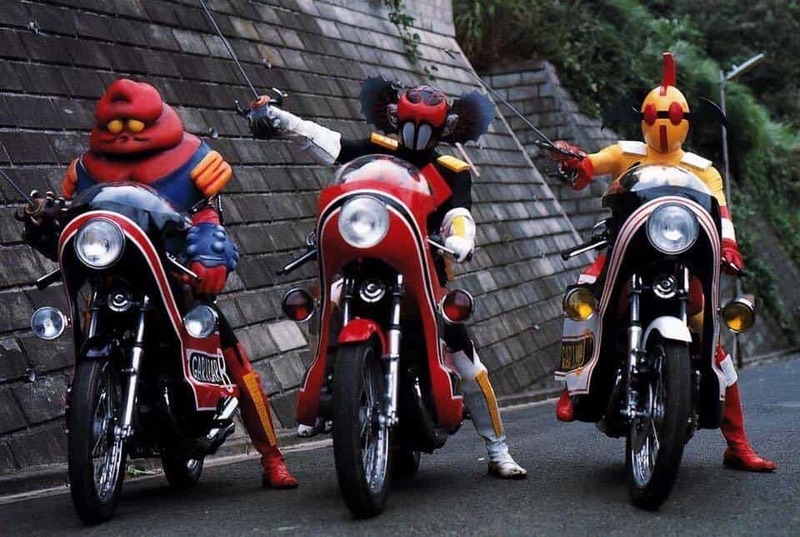 see you there tomorrow. 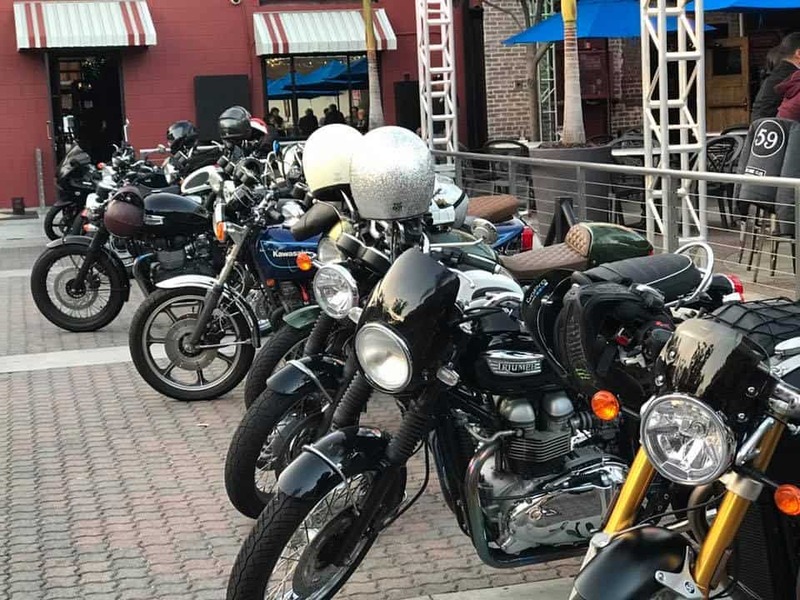 This entry was posted in Blog and tagged 59 club, ace cafe, Bike life, bonneville, Honda, kawasaki, leather jacket, meet up, motorcycles, Roscoes deli, scrambler, t100, thruxton, ton up, triumph.